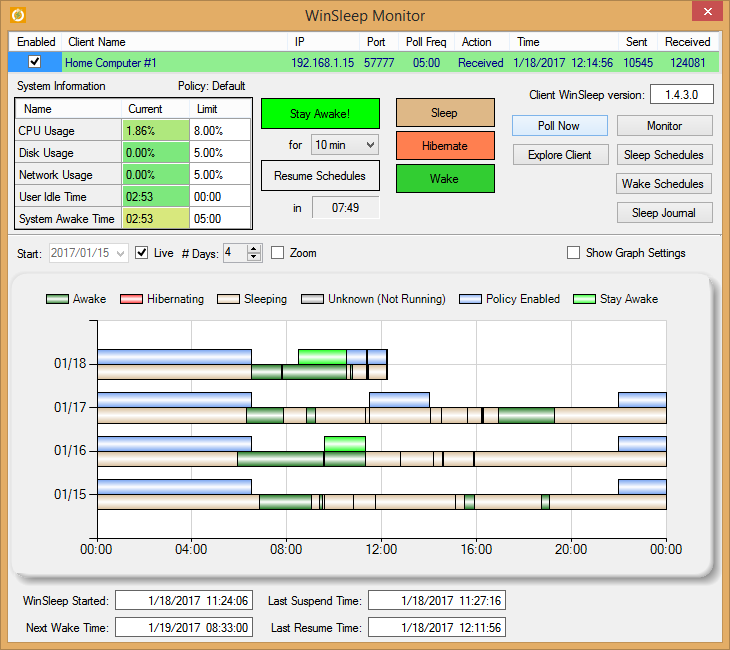 WinSleep Remote Viewer, WinSleep Monitor, Network managementd sleep journals. Sleep/Hibernate/Wake remotely. Connects to WinSleep clients by IP address or by computer name. Connection is encrypted and secure.